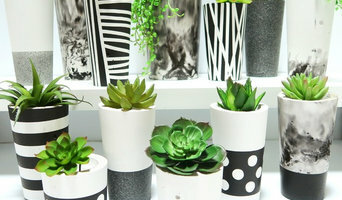 Urban Decor (Nothing But Vintage) is an online business located in Townsville, QLD, Australia. We are a husband and wife team who have a passion for designing and creating our own range of Urban Décor concrete pieces and prints to compliment the authentic industrial décor and vintage style. Our ever evolving Urban Décor concrete range currently consists of concrete Tealight Candle Holders, Succulent Planters, Bowls, Office and Desk products, Side Tables and Stools. Each piece is unique and individual with its own sense of character and charm. All pieces are finished with the highest quality and secure wrapping and packaging for post is a must. Our Urban Ink Prints include original, hand drawn lettering/typography prints using black ink / paint, photographic prints & pencil sketches, scanned and cleaned up with digital media. Each print is individually hand signed before dispatch. We pride ourselves on having top customer satisfaction and our wares are a reflection of this. Your provider of long lasting, high quality products at affordable prices. We are a locally owned and operated store with over 13 years compbined experience in designing, importing and supplying outdoor furniture that meets the needs of our customers. We don’t try to dictate what “is best for you”. 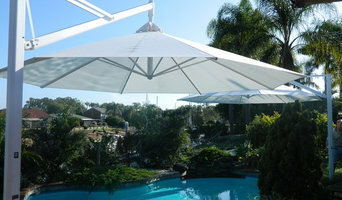 However, we can assist you in making the best choice possible in meeting all your outdoor entertaining requirements. Working directly with factories ensures that there is no middle man and we can guarantee you the best quality at an affordable price. Our vision is to sell only the best quality, affordable products which have proven to stand up to our specific climate and normal day to day wear and tear. Visit the Beds R Us showroom at Townsville for an extensive range of premium, Australian made mattresses and bedding, beds, linen and bases. Open 7 days. Visit our showroom today, located near the Town and Country Caravan Park. Kingfisher Furniture Designs PTY Ltd.
Why should I use a furniture designer or home accessories professional in Townsville, QLD, AU? Think about the overall look of the room and what all you need for it. Do you have very specific ideas for what furniture you’d like or do you just know the colour palette or the basic type of furnishings and home accessories you want? 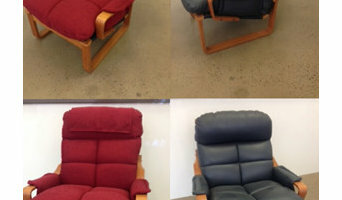 If you have very specific ideas it could be an option to look at good furniture showrooms in Townsville, QLD, AU. If you have unique ideas it is best to approach furniture manufacturers, they will produce one-of-a-kind pieces to make your ideas come to life. If you are not sure where to start, hire a Townsville, QLD, AU home furnisher to help you choose furniture and accessories to work with your interiors. Professionals with years of experience will have a great eye for picking out the pieces from the right furniture showroom in Townsville, QLD, AU based on your brief and your room design, saving you the time and stress of hunting down the pieces yourself. Don’t forget home decor can provide the finishing touches to any room in the house. Table lamps, plants, cushions, rugs, candles, ornaments, artwork and picture frames are just a few of the home decor elements you can use to round off the style of your room and add personal touches. It’s easy to find ideas for these smaller furnishings with plenty of home decor items and products available online and listed in many furniture showrooms in Townsville, QLD, AU. What should you know about a Furniture and Accessories Manufacturer in Townsville, QLD, AU? Start your research right here on Houzz. Read through professionals’ profile pages to find out their location, look at photos of their work and check how long they've been in business. Read any reviews by design professionals and find out which furniture showroom in Townsville, QLD, AU offer the best customer service. If your style or space is unique, it will be wise to consult a custom furniture manufacturer.